When you become an upperclassman at HKIS, the word “college” looms large over everything else. The question at this stage of your life, to paraphrase Jesus’ famous line, is, “How to gain college admission without losing your soul?” In response to this concern, I fill the “Service, Society, and the Sacred” (SSS) curriculum with teachings, activities, and outings that will give you the opportunity to reduce your stress and discover a more grounded self. I share Hollis’ final paper in SSS because it typifies this college vs. soul dilemma that the vast majority of you face during your semester in SSS, and how she came away with a better sense of herself that will hopefully carry her successfully through her senior year. Before SSS, my only exposure to religion courses at HKIS was the required Biblical Traditions. Transferring in my sophomore year, I didn’t benefit from the impactful service trips to Foshan or take the popular Peace Studies course. I remember feeling so overwhelmed by all the opportunities students were offered at HKIS, it seemed like the epitome of the word “busy”. There is always so much going on simultaneously; with exams, extracurriculars, friendships, service work, charity events, and interim (to name a few), I can barely find time to catch my breath, let alone check in with my mind, heart and body! High School comes with many conflicting emotions and it can be difficult to find balance between academics and personal life as there seems to be this huge neon billboard hovering over our heads that reads…“college”. As a junior this year, thoughts of the near future whirl through my mind constantly, and I know that the prospect of college lies within the endgame of our collective high school experience. However, this is precisely what triggers the uneasy sensation in the pit of my stomach, the sheer exaggerated focus on status, scores and reputation of getting into a ‘good’ college is so blown out of proportion. This has bothered me for the longest time. Until… enter: SSS, something of a godsend, recommended to me by a close friend, the class concentrates on getting out of your head and into your heart and body to ultimately focus on YOU. A place to discuss the spiritual as opposed to the physical/material. The class has been crucial to my wellbeing as it has been a refuge during the day for me to take time to focus on myself, to stop comparing myself to others and to ultimately, listen to my body. In this sense, it has been an extremely beneficial course for me to take in several ways. The diet change project, identifying my enneagram type and a comprehensive introduction to kinesiology have all contributed to my journey of becoming my most healthy self, physically and mentally. The “Be Healthier Today” Project gave our class the freedom to actively make a certain health change in our lives. I decided to address a specific issue in my diet. I knew what the obvious choice was, the question was could I successfully give it up and was I willing? My biggest problem at the time was my excessive consumption of processed foods that I would purchase and eat at random times during the day. I had become numb to the feeling and negative impacts the junk food was having on my body. I tended to feel very bloated and get brief yet painful headaches. My body began to feel extremely tired in general I had become lazier. I was in no way satisfied with my snacking habits yet I couldn’t combat the “hyper rewarding” sensation that leads to overconsumption. The introduction to this project gave me the necessary boost to begin eating healthier alternatives to fattening and processed foods. After some research, I wasn’t very surprised to find that they are stuffed with artificial ingredients like preservatives, colorants, flavor, texturants. However, I was surprised to find that even “healthier” dairy products like milk and yogurt were heavily processed, I decided to minimize my dairy intake and lean towards gluten-free snacks. I began to eat more and more fresh fruits and veggies with hummus and found a certain gluten free bread I ate with a ripe avocado spread. I was thrilled to find the effects of this diet change were almost immediate. The truth was that I was less bloated, more energized, my stomach more relaxed and I was finally able to exercise self-restraint! Furthermore, I implemented a few intention changes such as saying ‘grace’ and breathing before meals which helped me to truly be grateful for the food placed in front of me for each meal and know that it’s there to nourish my body. 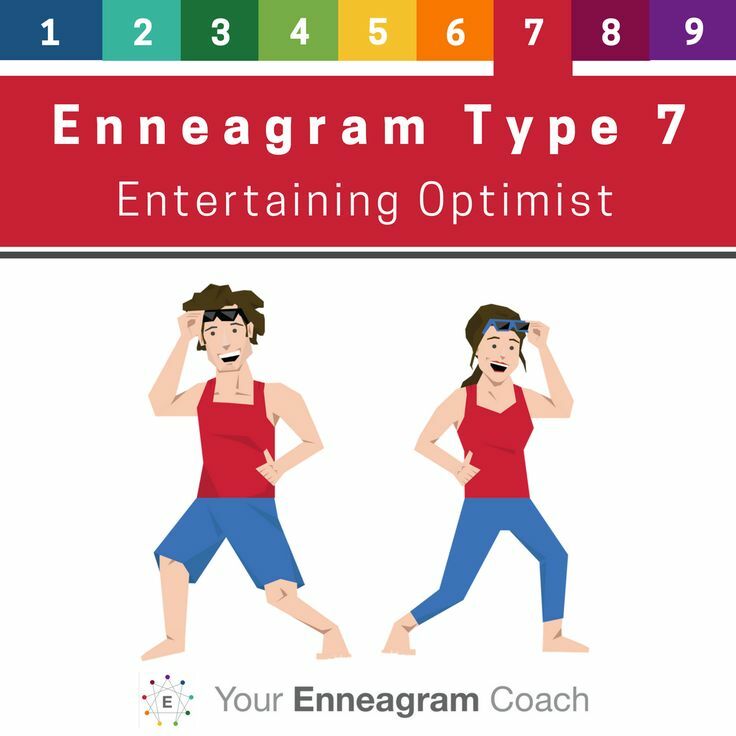 What is an enneagram type? If you had asked me this a few months ago I would have no idea. But as I sit here to write this now I can confidently say that I am a proud and healthy type 7, wing 6 and guess what?! The best part is that I’m not the only one! After reading the books and handouts provided by Dr. Schmidt I was able to identify my type almost immediately because it felt like the categorization was describing me with unbelievable accuracy. It has explained so much to me and helped me grow as an individual to better understand why I do the things I do. It has also given me meaningful advice to how I can be my healthiest self while dealing with a seven’s natural impatience and easily induced boredom. I’ve gained more independence throughout the semester, spending more time on my own thinking about what makes me who I am and how can I be the best version of myself with my special personality traits to make a positive impact on others as well. I will continue to use this newfound knowledge to nurture my growth as an individual and maintain a healthy type 7, the free-spirited optimist. There was always a certain familiarity I felt with kinesiology. I always believed it had the power to provide meaningful insight and even to the extent of completely healing the body but I just had to see it for myself. In SSS, I had the awesome opportunity to do just that. One of the perks of enrolling in a class that has existed for so many years are the connections made between student and teacher. Twice this semester, Dr. Schmidt brought us off campus for a more hands on learning experience using the friendships generated through his time teaching this course. During our first trip to the Red Doors studio in Aberdeen, our class took part in a Gong Bath which was absolutely fascinating sound meditation experience for the body. But what had the most profound effect on my spiritual healing exploration beliefs was our visit to the Kinesiology Asia office in central led by an alum named Leah. The most enchanting aspect of Kinesiology is its unique ability to detect what foods the body is not compatible with, so I decided to ask my kinesiologist in the office to test this on me during my session. First, we began with some simple muscle testing, I could support my arm under some added pressure with a clear mind but once I was asked to think of a certain stress in my life I could no longer withstand the same pressure, I was so intrigued but I wondered if this same concept could really be applied to real objects. The answer is yes they can. I was asked to close my eyes as my kinesiologist went to get an unknown food to test. First, she tested my arm again, it was strong. Then, she placed the item on my stomach. She placed her hand on my shoulder and asked me to lift my arm, I am telling you the one hundred honest truth, I could not do it. Finally, I opened my eyes and saw one lonely packet of white sugar lying on my stomach. Everything seemed to click into place all at once, it all made sense, sugar is simply not a healthy friend of mine. Here’s to more kinesiology revelations in the future! In conclusion, I feel that I now have the tools I need to address my insecurities about college that I mentioned in my introduction. I know that I am enough. I want to say a big thank you to Dr. Schmidt for your unwavering enthusiasm and dedication to making SSS the most impactful course out there. I’m so happy with everything I’ve learned and how SSS has redirected my focus back to my personal wellbeing. I’m so thrilled with the new ideas my peers and I have brainstormed for next year’s students. I know this class will continue to help those in need of direction and closure as our high school years come to a close. It provides the rare opportunity to deeply reflect and express gratitude toward those you care about. Hollis is in the back row far side of the picture. *To read more SSS final papers, see Ali’s, Sandra’s, Sharon’s, Ivy’s and Amar’s. This entry was posted in inner awakening and tagged Enneagram, nutrition, Service society and the sacred. Bookmark the permalink.